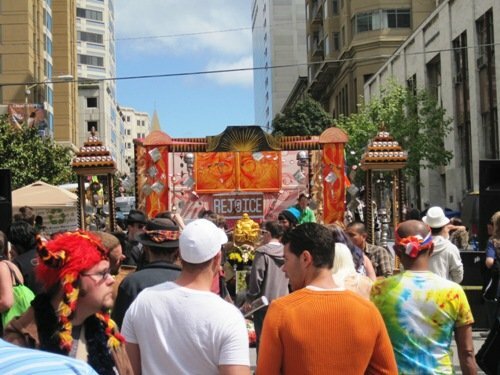 How Weird Street Faire San Francisco – A Cosmic Good Time! I hope all you mommies had a great Mother’s Day yesterday. My mommy is out of the country, but my sister’s family and I had a breakfast for our Grandma which was really fun. 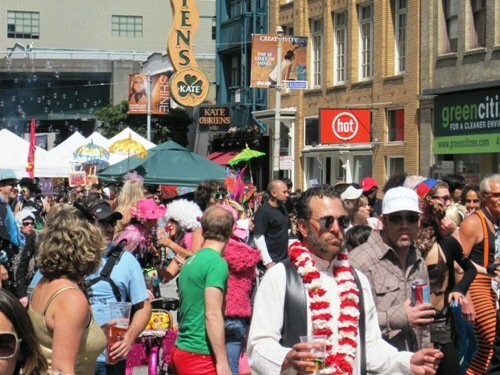 Then the boyfriend and I went to San Francisco for the 11th Annual How Weird Street Faire. 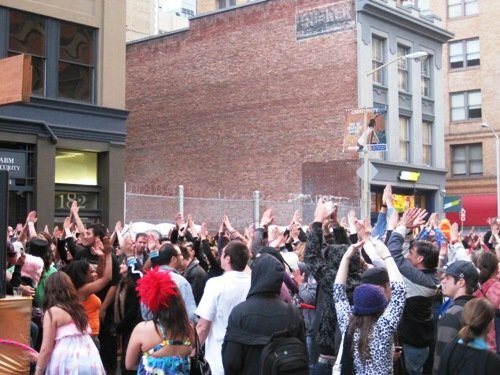 This year’s theme was “Bollyweird” – complete with an attempt to break the World’s Record for number of people in one place doing the Cosmic Dance*. 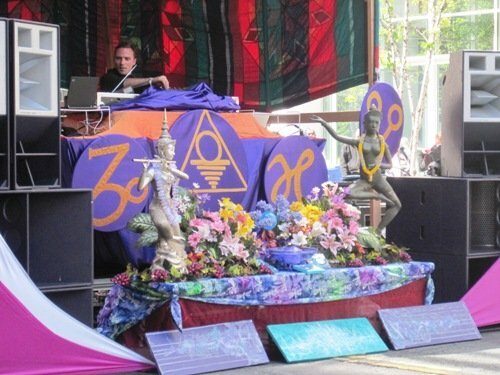 I’m not sure yet if the record was broken – they needed more than 1,111 people – but there were certainly enough people present to make it happen. 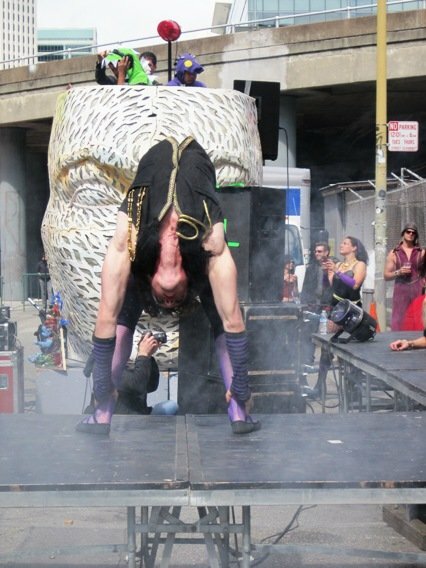 … The How Weird Street Faire celebrates San Francisco’s creativity, community, diversity, and conscious awareness. 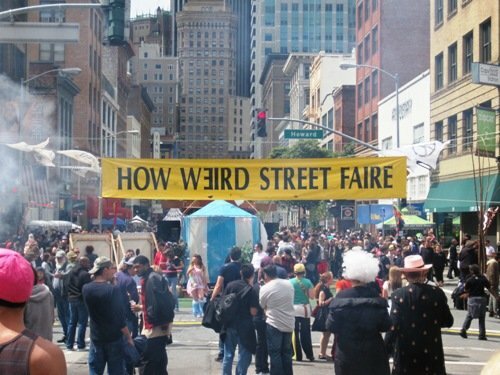 The How Weird is also the unofficial start of the city’s famous street fair season, attracting people from around the Bay Area and the world. 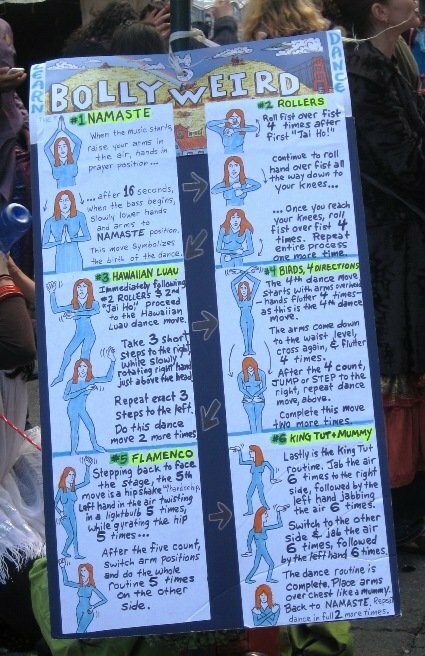 There’s no way for me to pick my most favorite part of the Faire because it’s all just so great and wonderful. 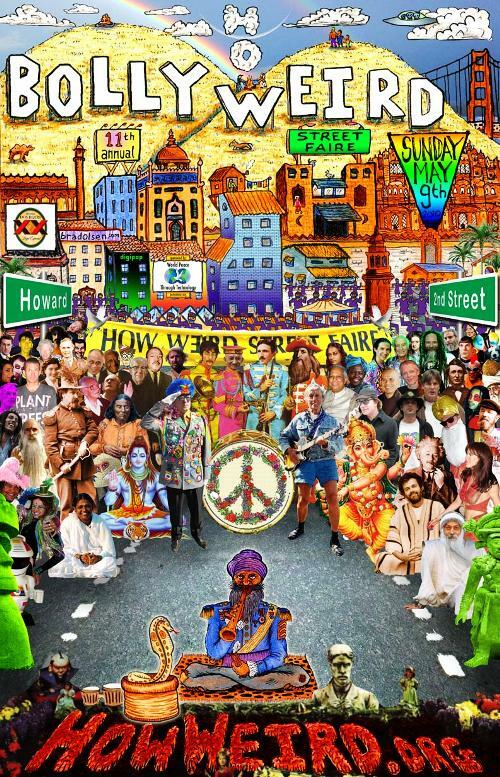 The colors, the costumes, the dancing in the street – I just can’t get enough! 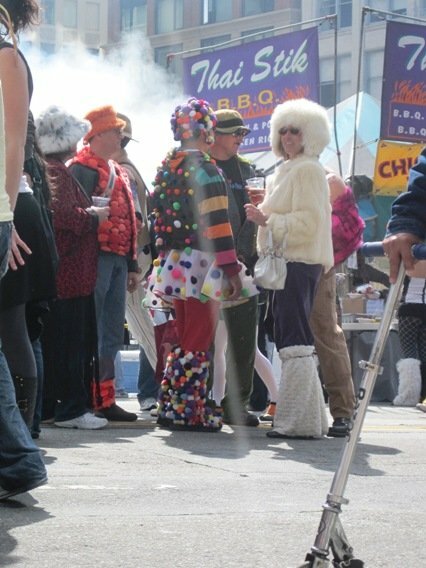 If I have to pick just one thing to classify and “the best,” I would have to say it was the fog machine between my legs. Seriously. The fog was warm on my lady parts and a “weird” experience I had never had before. I’m sure I’m in a zillion photo albums now. 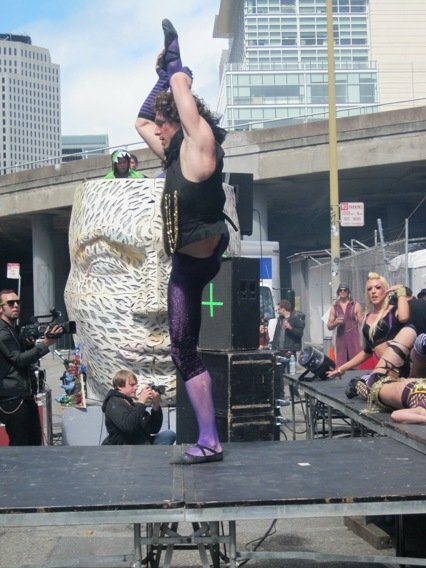 The fog that was passing through my leg tunnel was actually directed towards a group of performers who were almost too flexible for comfort. 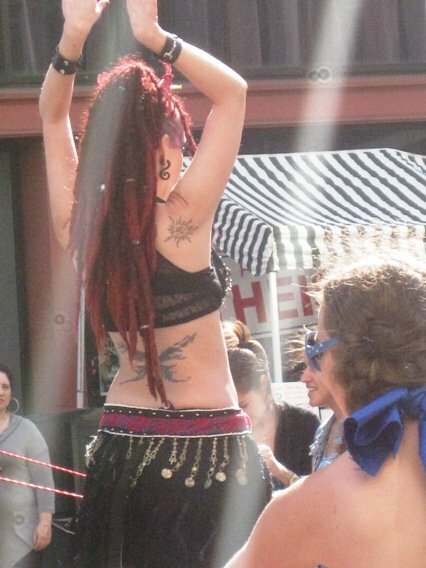 Check out my How Weird Street Faire Facebook Album for all the pictures I took. 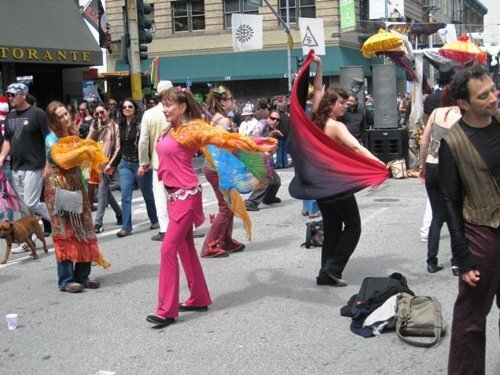 previous post: GoCar Tours San Francisco – So Much Fun!! next post: Britney Spears And Jason Trawick Break Up For Reals. Sort Of.